First I want to thank all of you that entered my Must Have Giveaway last month. I wish each of you could have won. Since you've seen my reviews of the Must Have Box subscrition service for July, August, and September I thought it was only necessary to show you the October Box. 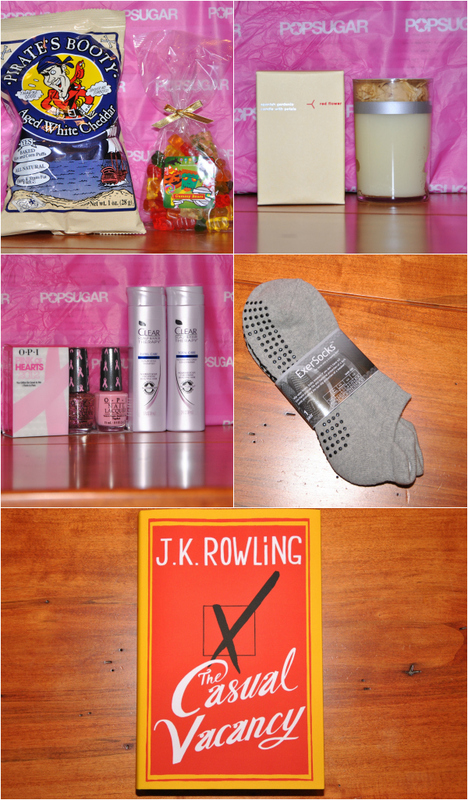 After September's AMAZING Must Have Box that literally blew me away I was expecting a lot of October's box. Sadly it left me wanting more. Ready to see what was inside the Ocotber Must Have Box? Pirate Booty Popcorn & Dylan's Candy Bar Gummy Bears: I knew there was going to be some sort of candy in this box since it was during Halloween. I'm a huge fan of Pirate Booty snacks and have a major sweet tooth so this was a nice perk. 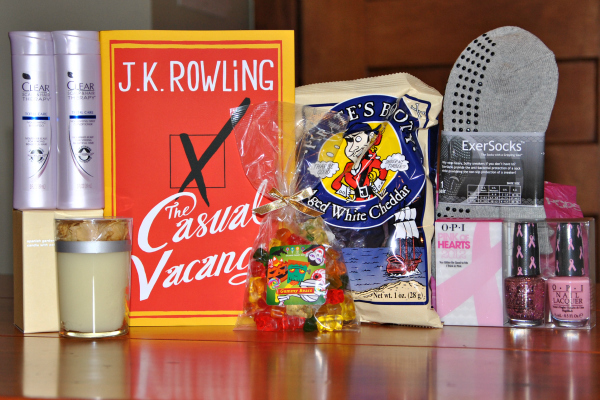 The Casual Vacancy- I was never into the whole Harry Potter books so I was a little hesitant about this book. I think I'll give it a read during the holiday break since it was included in the box but would never have bought this book for myself. Clean Hair & Scalp Therapy-I currently already use this shampoo and conditioner daily so getting a sample size to travel with was a nice surprise. I was a little annoyed when I found out some peoples boxes included full size bottles of the shampoo and conditioner. I think to keep things fair they need to keep all boxes the same. Even though the majority of these items I have no use for and would never have bought them for myself I'm still intrigued to see what the next box will hold. 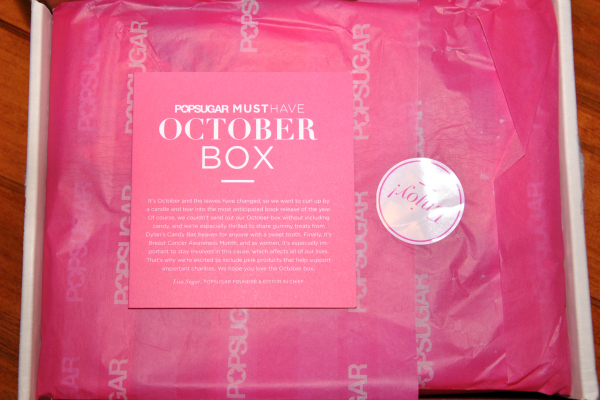 October's box definitely was better than July's but if all boxes were like September's they would sell out every month. Also, I've noticed that they stopped referring to this as the Must Have Bag and are now calling it the Must Have Box. No big deal, but quite interesting that they never made an announcement about that. So what do you think of the box? Want to try it out? The November Box is already sold out but you can still get your hands on the December Box (SIGN UP)! Must Have Box service is $35 (+tax) a month and is a fun box to receive every month. You definitely get your money's worth and are introduced to some fun new products. Be sure to use a coupon- "YOUTUBE2" to save $20 on your 3 month subscription or if you hate commitment, use "REFER5" to save $5 on your first box.